If Iron Maiden Needs A Sax Player, This Is Who They Should Call! In my opinion, street performers are music’s best kept secrets. There is so much incredible talent out there just waiting to be discovered, and the funny thing is, most of the time those street performers are significantly better than the multi-millionaire rock stars that you see performing in front of millions of people. What’s even more impressive is just how creative these street performers are getting with their performances. Rather than just cover the song with the instrument that it was originally recorded, these musicians are thinking outside the box and incorporating other instruments to cover these timeless songs. Here’s one such example! 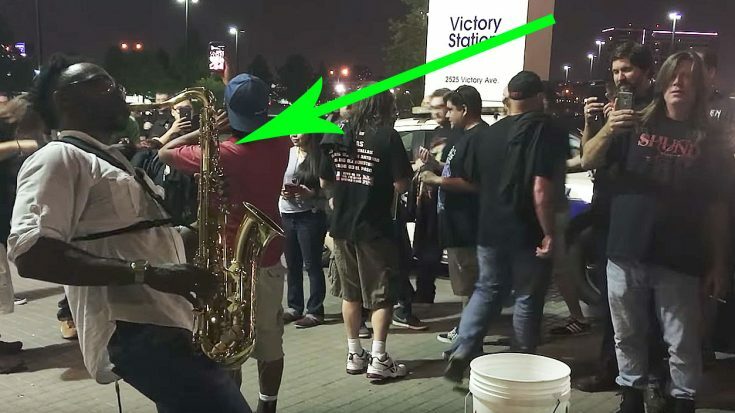 What you’re about to watch is a video in which a saxophone player takes to the streets to perform a cover of Iron Maiden’s The Trooper. Not only does he cover the song, but he plays the solos and lead guitar parts and all. This guy is truly amazing! See for yourself!